Top-tab folders are color-coded for easy filing and retrieval. Each features 11 point stock, one-ply tabs, undercut front panel and rounded top corners. 1/3 cut tabs are 1/2" high. 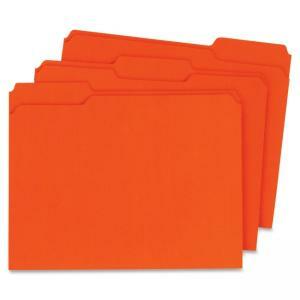 Folders are scored for 3/4" expansion.